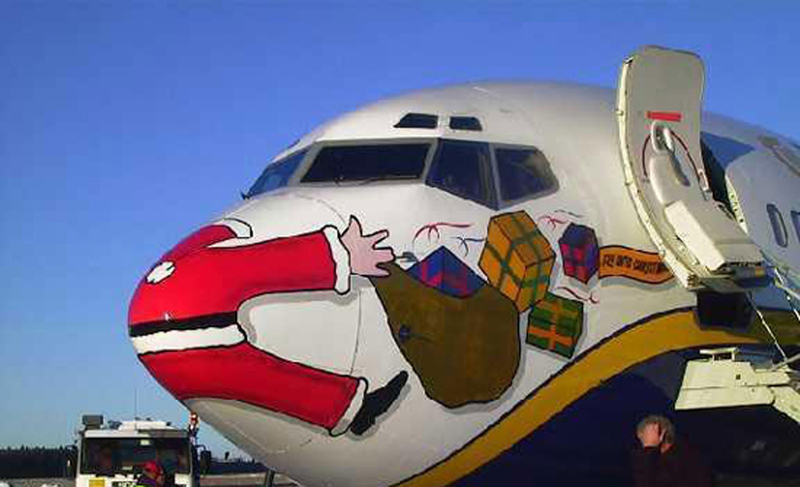 With the holidays upon us it is time once again for us to look at some goodies. This has been another great year for gaming and there are almost too many high quality releases especially on the miniatures front. Maybe not so surprising, there has been a lot of progress in the same systems as last year. Front Towards Enemy is Multi-Man Publishing’s upcoming tactical Vietnam boardgame. Looks interesting. Operation Mercury: The Invasion of Crete is another MMP title. This is in their grand tactical series with seven maps and over 1,000 counters. We’ve always found the battle of Crete an interesting topic. Star Wars Armada from Fantasy Flight Games is better than X-Wing in many ways. With the new Star Wars movie out very soon you’ll want to pick this up if you have not already. Heroes of Normandie from Devil Pig is 15mm miniature gaming as a board game. If you like WW2 tactical gaming this is a lot of fun. Don’t miss the computer version either. The new Shadows over Normandie adds even more variety. Fight through the hedgerows in just a couple of hours. Horus Heresy: Betrayal at Calth is actually not a bad game. It debuts the new HH plastic minis to boot. Worth a look if you like either. It remains to be seen if the game itself will have the legs of Space Hulk. Dropzone Commander continues to be an excellent game with great minis. It is almost impossible to beat the plastic starter sets. Hawk Wargames keeps making a great game better. And don’t miss the new 4Ground 10mm buildings either. Firestorm: Planetfall from Spartan Games gives a lot of the feel of Dropzone Commander but at a much faster pace and slightly grander scale. Dropfleet Commander funded on Kickstarter in a matter of minutes. It will ship in mid 2016 and is essentially a must get for any spaceship combat fan. Hawk’s twist is the game takes place in orbit over a planet instead of deep space. The miniatures look amazing. Halo Fleet Battles from Spartan Games is probably the best mass battle spaceship game out there. If you want to see 100 ships slugging it out look no further. The plastic minis are great. Deadzone is a unique take on sci-fi skirmish. A couple of Kickstarters have brought (and will bring) nice plastic minis to replace the restic. A new version will make a new game even better in 2016. Mercs 2nd Edition. Coming very soon along with the boardgame Mercs Recon. This should give the system a nice reboot. Infinity 3rd Edition saw Corvus Belli improve a good set of rules. Lots of new support and upcoming supplements will give players more of a good thing in 2016. We’ll also use this as an opportunity to mention 4Ground’s great new 28mm Jesserai sci-fi building range useful for any sci-fi system. Maelstrom’s Edge funded quickly on Kickstarter and should ship very soon. The minis seem ok but the real treat is going to be the rules. From the sound of it this could be THE ruleset for grand skirmish (~50 figs) sci-fi gaming. Moreover, it has great support with novels and audio books already available. Beyond the Gates of Antares beat MEdge to the starting gate. It probably has better minis — and now some core sets in plastic — but, while the rules are good (a derivative of Bolt Action), we’ll see if they can stand toe to toe with MEdge or not. World War Two gamers are not left out. Both Chain of Command and Bolt Action continue to be excellent skirmish games with great support. And Warlord keeps making great new plastic tanks. And of course 4Ground once again has you covered for buildings and Crescent Root Studio does even better. Modern gamers are being well taken cared for as well. Coming soon from TooFatLardies is Fighting Season a modern version of Chain of Command. Available now from Dish Dash are the new Skirmish Sanguin supplements with a new mini range coming soon. Osprey Publishing’s new Black Ops skirmish rules are quite nice as well if you are looking for a quick play set of rules. If you want modern miniatures don’t miss Empress Miniatures’ great 28mm line. Team Yankee might be the title we are most excited about. The Cold War is one of our favorite topics and an area that doesn’t get much wargame attention these days. We would have preferred 12mm but the new modern 15mm plastics from Battlefront look great. Battlefront is also releasing a range of modern era terrain as well. There has been a slight delay but we should see the first items in time for the holidays. Flashpoint Campaigns: Red Storm Player’s Edition is certainly at the top of the list of computer wargames to check out. Excellent Cold War action and now with the new Germany Reforged expansion. Combat Mission: Black Sea gives you more modern warfare with the CM engine moving to a hypothetical conflict in the Ukraine. Available now. Space Hulk: Ascension will scratch the sci-fi corridor itch. It got a few nice updates this past year. XCOM2. Delayed but probably well worth the wait. This will burn away a few hours…ok days…in 2016. An all new version of the venerable sci-fi tactical game. Wars and Battles still has perhaps the worst name ever for a wargame but for the iPad it is still one of the best wargames to date. The past year has seen new campaigns added and 2016 will see more. This entry was posted in 10mm, 15mm, 28mm, Chain of Command, Deadzone, Dropzone Commander, Firestorm Planetfall, Infinity, Miniature Wargames, Modern, Sci-Fi, WW2. TemplarsCrusade01 takes a visit to the 4Ground studios. This is a very interesting look behind the scenes at 4Ground and their excellent production of pre-painted laser cut terrain. This entry was posted in 10mm, 15mm, 28mm, Miniature Wargames, Sci-Fi, WW2. 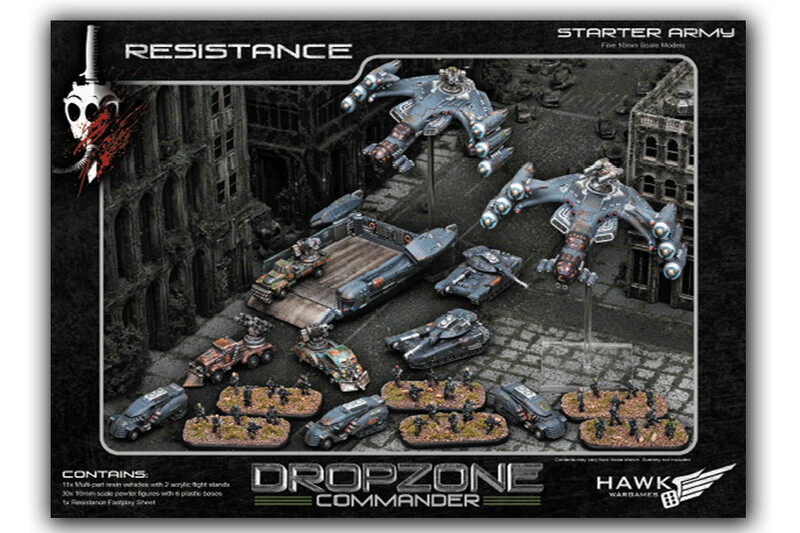 We have become big fans of Dropzone Commander from Hawk Wargames. It is a well balanced game with nice tactical options, interesting scenarios and nicely done models. Certainly part of the game’s appeal is also the terrain. Fighting amongst skyscrapers with dropships weaving about is certainly a novel setting for sci-fi miniatures gaming. Carl Tuttle of the IC’s Podcast famously calls terrain “the third army.” Terrain has a huge impact on a game both from a play standpoint as well as visually. Hawk Wargames produces their Cityscape and Ruinscape terrain sets as well as a subset of those in their starter set. The sets are full-color, heavy cardstock tiles and buildings. The buildings fold together in minutes. We glue ours but you don’t have to if you want to be able to break them down for easier storage. The tiles are double-sided and can be setup in a massive number of configurations. The sets are relatively cheap so gamers who wish to take a bit more time and effort can also glue the tiles to board and paint/flock them for an even better look. But for those who want an even easier solution there are now the new gaming mats being produced. Most of these are now on the “mouse mat” rubber material but some are on vinyl. Certainly the best mat produced so far is also one done specifically for Dropzone Commander. Frontline Gaming’s Hi-Tech City mat is a very attractive 4’x4′ mat that one can just roll out, put down buildings on and play. It doesn’t have the flexibility of the tiles of course but looks better and doesn’t have the disadvantage of the tiles shifting around or seams. Here is a Frontline Gaming battle report that is interesting itself but also features the mat and the cardstock buildings. Also of note in the video is the ‘traffic’. These are just N-scale cars for model railroading that add a nice touch to the table. 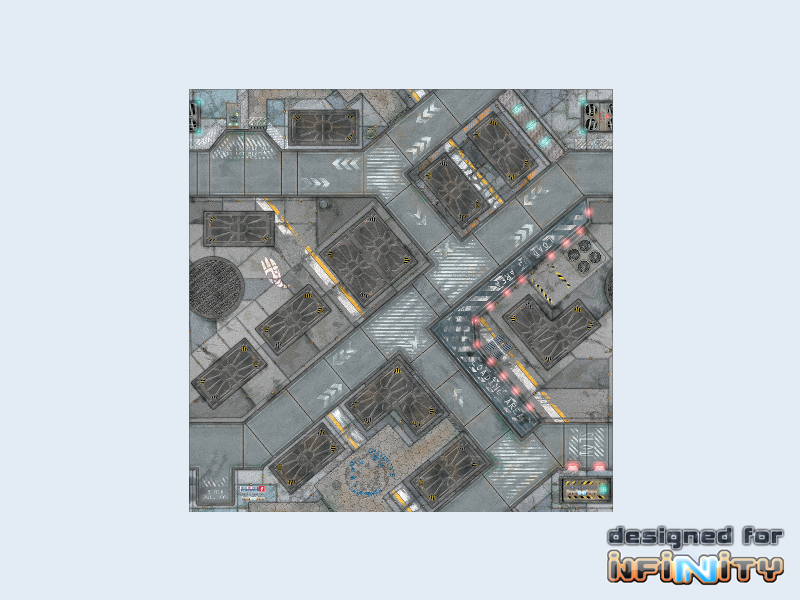 Another good mat choice is the new Infinity District 5 mat from Micro Art Studio that, although intended for 28mm, would work very well for Dropzone Commander. Their new Icestorm and Warehouse mats are good options as well. As nice as the Cityscape buildings are some might want something more glamorous than cardstock on their tables. 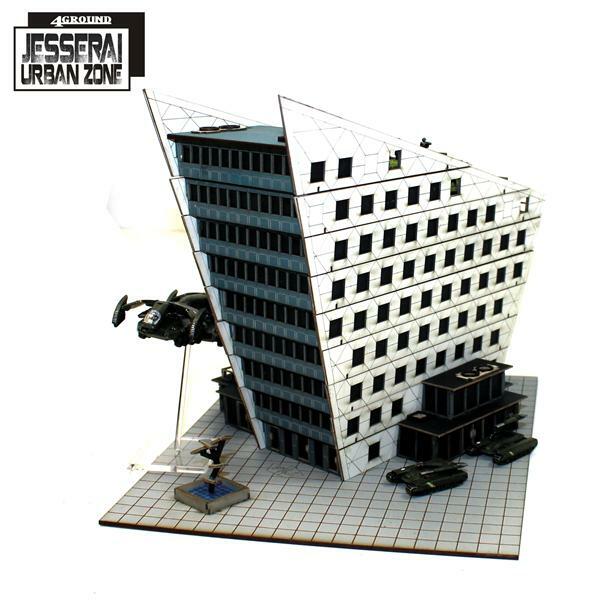 Well have no fear, 4Ground is now producing their Jesserai 10mm range of buildings for Dropzone Commander. As with all 4Ground products they are pre-painted MDF. They are simply stunning. They have some designs that mimic the Cityscape line but where things really take off is with their unique buildings such as the District 1 Corporate Building and the District 1 Bank. Unlike the cardstock buildings the 4Ground buildings come apart so you can put units inside if you wish or they still have plenty of room on the rooftops. Because the buildings are MDF they have more weight and thus don’t move around or topple as easily as the cardstock buildings. The only downside to the 4Ground buildings, besides the cost, is that they are very tedious to build especially the District XXII buildings. A single District XXII building can easily take 10 hours to put together. Of course considering it is ready to go after assembly and looks great this may not be such a bad tradeoff. Oddly, the more interesting District 1 buildings are a bit easier to assemble. Below we have a few pictures of some of the 4Ground buildings with the Hi-Tech City mat and we think you’ll agree they make a very nice combination. As you can see the 4Ground buildings also mix in well with the Cityscape cardstock buildings. With the popularity of Dropzone Commander on the rise and even other new 10mm games coming out such as Spartan’s Planetfall we should be seeing even more options for terrain in the future. Also see Sci-Fi Terrain — Buildings. This entry was posted in 10mm, Buildings+Terrain, Dropzone Commander, Miniature Wargames, Sci-Fi. In Episode 116 of The Independent Characters podcast Carl Tuttle announced that the IC podcast will be coming to a close in April 2015. This is certainly very sad news indeed. For five years The Independent Characters has not only been the best Warhammer 40,000 podcast but one of the better hobby podcasts in general. They always approached the hobby with great intelligence and good humor. We understand the great time and effort it takes to put on a quality show and wish Carl well and indeed hope he continues with The ICs Unbound videos and the occasional show. Thankfully Carl is not quitting the hobby otherwise we’d be reporting the collapse of Forgeworld as well! Thank you Carl, Geoff and all those who helped and supported The Independent Characters. We wish you all the best. Happy hobbying. View from the Turret, out. This entry was posted in 28mm, Miniature Wargames, Sci-Fi, Warhammer 40K. With the holidays upon us it might not be a bad time to look at some goodies. This has been an especially good year for gaming and the recent months have seen some very high quality releases. Below are just a few items you might want to add to your list…if you’ve been nice! . .
Star Borders: Humanity 2ed and Star Borders: Aliens are two notable sci-fi titles from Victory Point Games. Surprisingly high-quality components and a quick playing but engaging game system make for a real win. Best of all is that there is more to come. Star Wars Armada from Fantasy Flight Games looks like it could be more fun than X-Wing. Galaxy Defenders may seem a bit odd but it is a nice co-op/solitaire sci-fi tactical game. Take a little XCOM and a dash of Men in Black and have some fun saving the world. Very nice components. 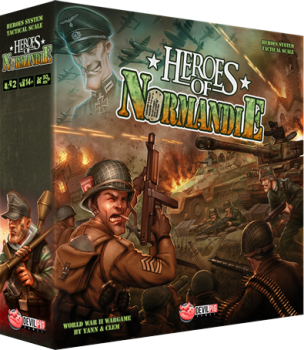 Heroes of Normandie from Devil Pig is 15mm miniature gaming as a board game. Tons of options available with even more coming. Fight through the hedgerows in just a couple of hours. Dropzone Commander is almost impossible to beat with its new plastic starter sets. Hawk Wargames keeps making a great game better. And don’t miss the new 4Ground 10mm buildings either. Deadzone is a unique take on sci-fi skirmish. Mantic’s minis require some effort but the game play is worth it. And you certainly don’t want to miss the Battlezones terrain good for any sci-fi game. Infinity 3rd Edition made a splash when Corvus Belli released the Operation: Icestorm starter box. The new rules are due out mid-December 2014. World War Two gamers are not left out. Both Chain of Command and Bolt Action are excellent skirmish games and the new plastic tanks form Warlord Games are a must. And of course 4Ground once again has you covered for buildings and Crescent Root Studio does even better. Flashpoint Campaigns: Red Storm Player’s Edition is certainly at the top of the list of computer wargames to check out. Excellent Cold War action. Combat Mission: Black Sea gives you more modern warfare with the CM engine moving to a hypothetical conflict in the Ukraine. Available for pre-order. Space Hulk: Ascension will scratch the sci-fi corridor itch. Who doesn’t want to give Genestealers a special present? XCOM Long War. Thought you were tired of XCOM? Think again. The Long War mod adds a huge host of improvements to the venerable sci-fi tactical game. War in the West is out now and could be Grigsby’s finest. Refight the campaigns in the West on a grand scale. Can you do better? Wars and Battles is perhaps the worst name ever for a wargame but for the iPad it is one of the best wargames to date. This entry was posted in 10mm, 15mm, 28mm, Board Wargames, Bolt Action, Chain of Command, Computer Wargames, Deadzone, Dropzone Commander, Infinity, Modern, News and Updates, Sci-Fi, Skirmish, Wargames, WW2. 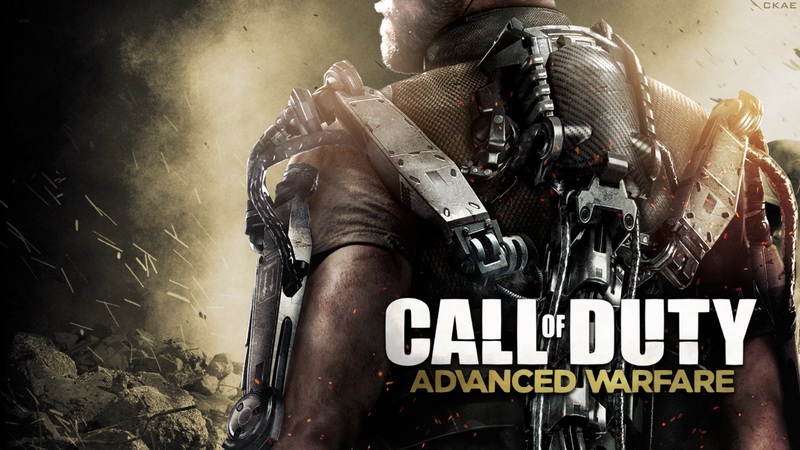 We don’t usually cover first person shooter computer games on the site but we were impressed enough with the trailer for Call of Duty: Advanced Warfare to make note of it. What caught our attention wasn’t whether it may or may not be a good game but simply the amount of future tech the game seems to highlight. If you are a sci-fi fan there is a lot to be seen even in just the trailer. Also see the short trailer. Most obvious is the exo-skeletons but as you watch the trailer all kinds of interesting things appear. The troops have advanced communications gear, jump packs, climbing gloves, grenades that seem to home in on their targets and air burst as well as grenades with various target marking and obscuration capabilities. There is at least one heavier powered armor troop as well. There are some high tech vehicles including dropships, different types of VTOL aircraft, hover bikes, heavy walkers and advanced tanks. Oh, and lots of drones. Even if the game turns out to be disappointing it should be fun watching some gameplay videos just for the environment. It will be interesting to see what else shows up in the game. 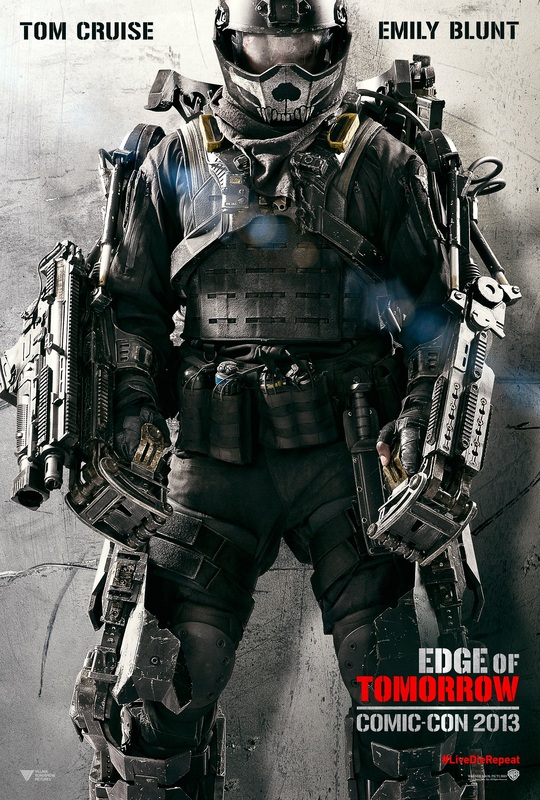 And speaking of exo-skeletons, we were pleasantly surprised by Edge of Tomorrow. Not a bad film at all and it also has some interesting future tech and scary aliens. From a tabletop gaming perspective there are of course plenty of games with these themes. But certainly the most directly applicable is the new 28mm Anvil Industry Afterlife line that addresses the exo-skeleton idea directly. Their recent Kickstarter will be bringing even more goodies to the line. The Anvil line is all resin and is exquisitely cast. They even have their own new set of rules that should be worth a look. This entry was posted in 28mm, Sci-Fi, Skirmish. One thing every gamer needs is lots of good terrain. Nice looking terrain enhances the play experience and plentiful, well placed terrain increases tactical options. This is especially the case for skirmish and small scale games. Games like Mercs, Deadzone, Infinity and others all come alive with good board layouts. Luckily producing good terrain, specifically buildings, is easier than ever. There are four primary types of materials used to make model buildings: resin, hardfoam (a form of resin), laser cut wood (or plastic) and injection molded plastic. Each material has its advantageous and disadvantages. Resin – Probably the most common resin buildings are those produced by Gale Force 9 in their Battlefield in a Box line. These have the advantage of being highly detailed, pre-painted and ready to go right out of the box. They are moderate in weight and slightly fragile. Depending on the scale and environment you are trying to represent the Gothic line or even the historical Flames of War line are useful. 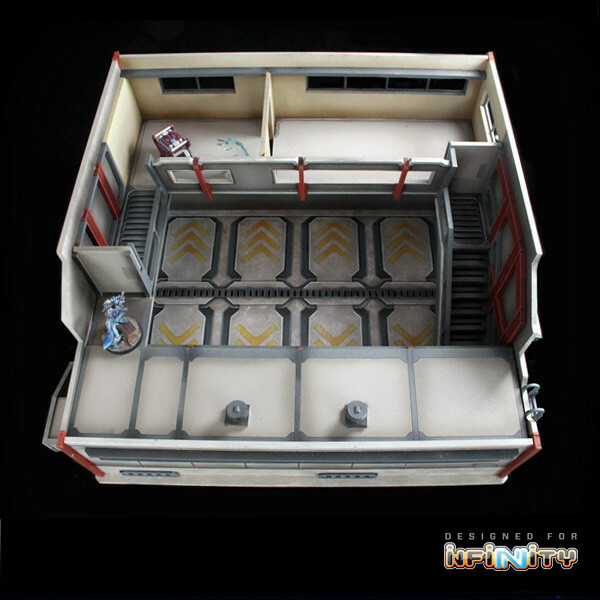 Hardfoam – The most numerous options for hardfoam buildings and terrain come from Micro Art Studio. Hardfoam is quite detailed and easy to paint. It is also light but somewhat fragile. Its biggest disadvantage is that it is solid so hardfoam buildings almost never have an interior and models cannot be placed under them either. This of course limits their use in certain situations. 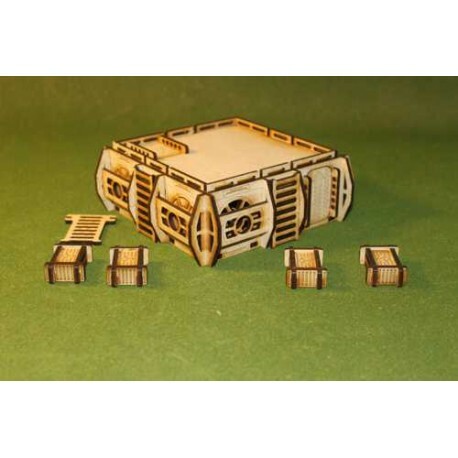 Laser cut – Laser cut wood (plywood, MDF, etc) as well as newer PVC products are perhaps where the gamers’ options have recently really started to increase. Manufacturers have gotten better and better with designs and choice has grown considerably. Laser cut buildings have the advantage of variety in design, detailed accessible interiors and complex layouts. They are also generally quite durable. Their big disadvantages are that they need to be painted well to really look good and often lack sufficient surface detail. The process itself also limits designs to a certain degree. 4Ground really set things on fire with their pre-painted line of buildings. They only have historical buildings at the moment but have announced a sci-fi line is coming soon. Crescent Root Studio has perhaps done even better but so far has no sci-fi options. Manufacturers we particularly like are Warsenal, Underground Lasers, Micro Art Studio, Systema Gaming and Spartan Scenics. Injection Molded Plastic – The nirvana of gaming building material is perhaps injection molded plastic. It is relatively cheap, has high detail, is easy to work with and easy paint. It is also light and reasonably durable. Its main disadvantage is basically choice. Until recently Games Workshop had the only really useful line of plastic buildings available, but of course you were stuck with the Gothic look. With the arrival of Mantic’s Deadzone a whole new line of Battlezones were also created. The Battlezone line is comprised of a variety of pieces based on a 3 inch square. Gamers can assemble them in almost infinite ways to create buildings and environments that suit their needs. Certainly future options will help break away from the cube to create even better variety. Of course even great buildings need to sit on something. Thanks to recent technologies the old grass mat is no longer needed. Certainly gamers can use foam board and other materials to create detailed urban battlefields but far easier, cheaper and more portable options (and more practical for actual gaming) are the new gaming tiles and mats. This was perhaps started in concept by Games Workshop with their Citadel Realm of Battle Gameboards but they never took the line anywhere to its full potential. It took Secret Weapon Miniatures to produce its upcoming Tablescapes line to start to unlock the varied options of plastic molded gaming boards. Tablescapes are one foot square injection molded plastic tiles in a variety of designs. What is great about them is that because they are plastic it is very easy for gamers to glue them together and use regular modeling techniques to create custom sizes that fit their needs. Or one can simply leave them as individual tiles for maximum flexibility. Of course plastic tiles still have to be painted and stored. An even easier and quicker solution is the new gaming mats produced on the rubberized ‘mouse pad’ material. 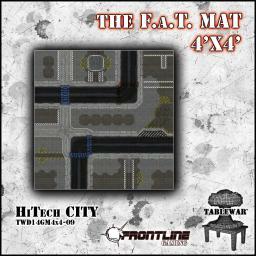 Probably the first to produce a variety of both 4’x4′ and 4’x6′ mats was Frontline Gaming with their FAT Mat Mega Mats. These give a great looking surface on which to place buildings and terrain but are also flat and smooth for easy gaming. Mantic produces a similar Deadzone mat and now Micro Art Studio probably has the ultimate urban mat with its new District 5 mat. What is unique about District 5 is that it has a geomorphic design so multiple mats can be placed together to create varied urban layouts. 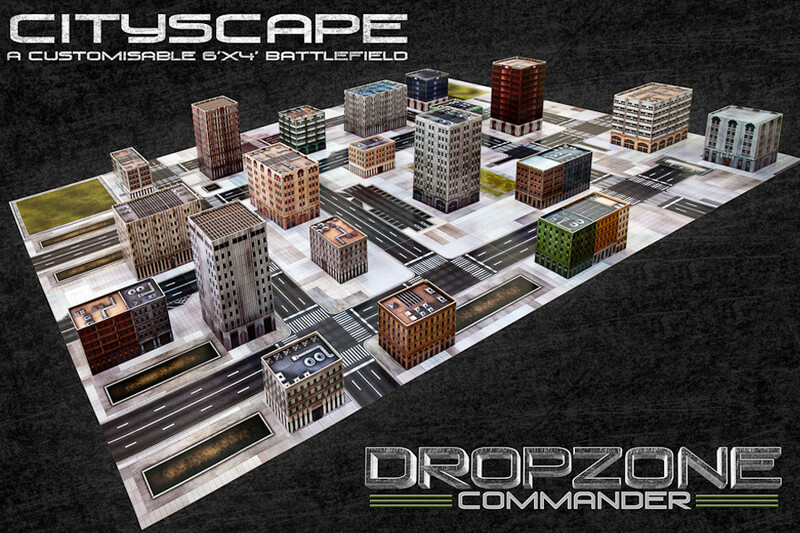 Lastly we should also mention Hawk Wargames’ Cityscape and Ruinscape line of urban tiles. They are designed for 10mm gaming but easily used for 15mm or even in 28mm as sidewalks. The ‘scapes are full-color cardboard tiles you can layout to create varied cityscapes. Keep them loose for variety and flexibility or glue them to board and enhance as needed for an even better look. There has never been a better time to fight in the city. So go grab some buildings and storm the gates! This entry was posted in 15mm, 28mm, 6mm, Buildings+Terrain, Deadzone, Dropzone Commander, Dust Battlefield, Dust Warfare, Mercs, Sci-Fi, Skirmish.